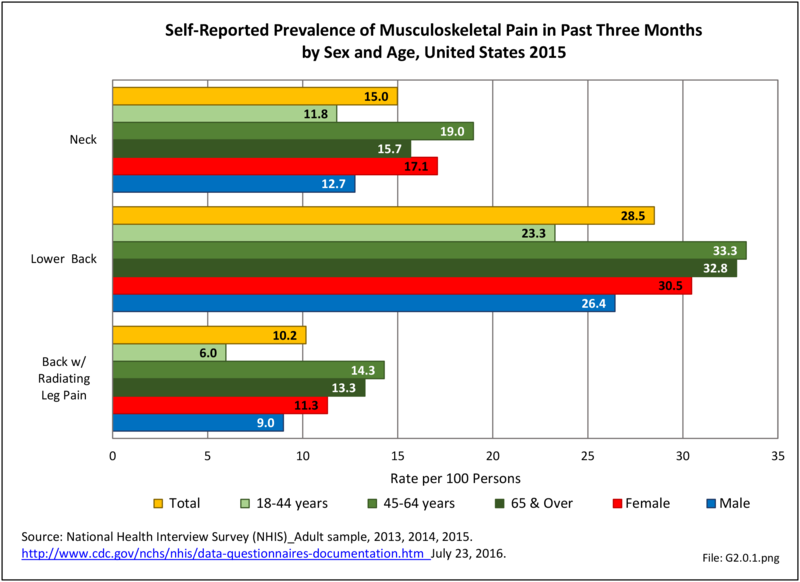 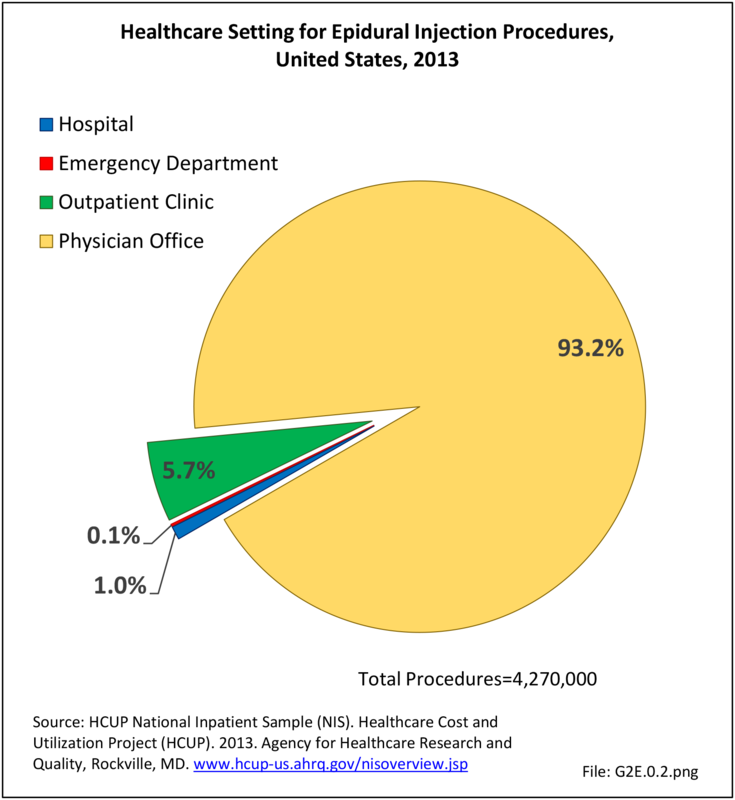 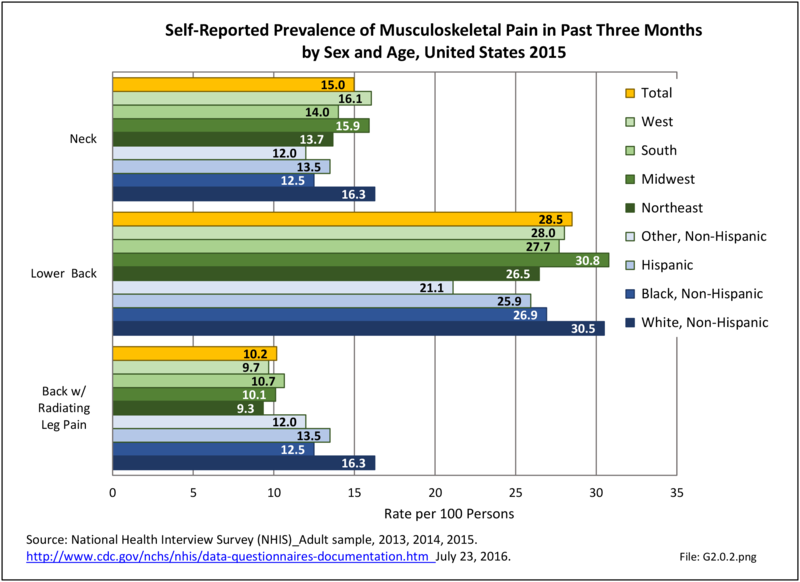 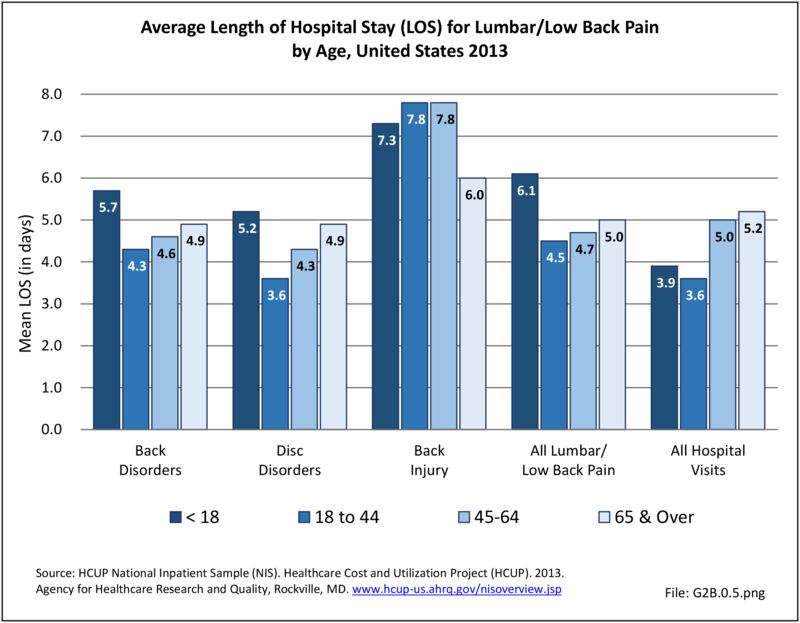 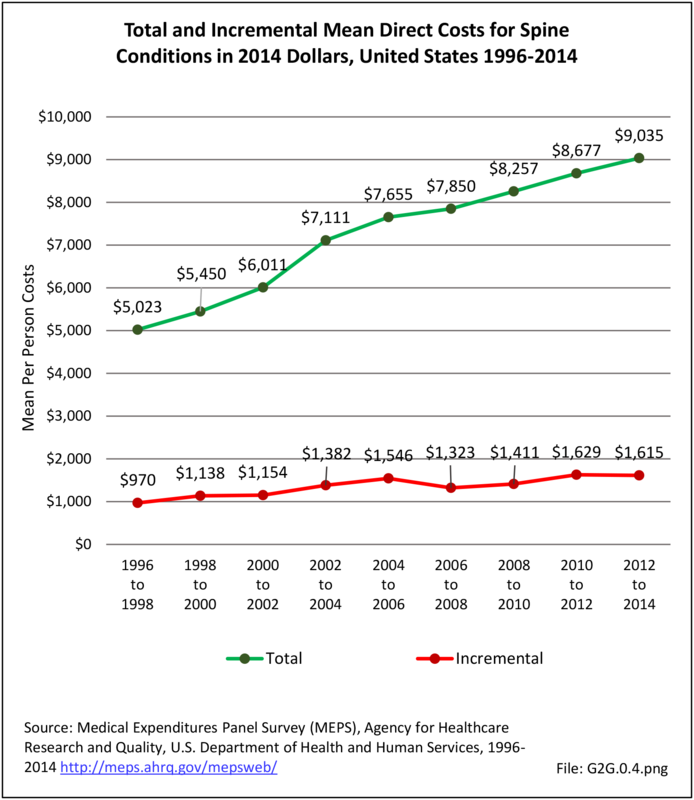 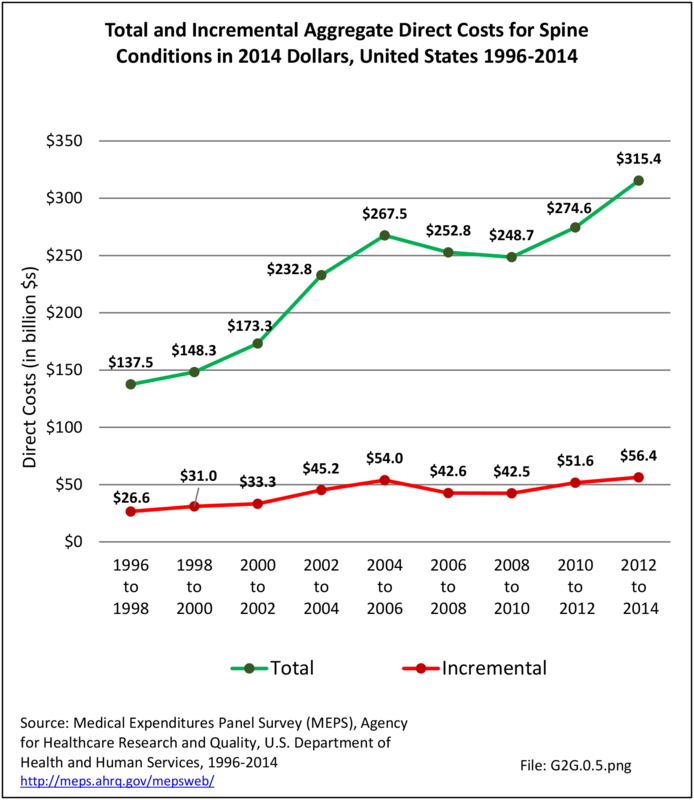 Economic burden in The Burden of Musculoskeletal Diseases (BMUS) is based on data from the AHRQ Medical Expenditure Panel Survey (MEPS). 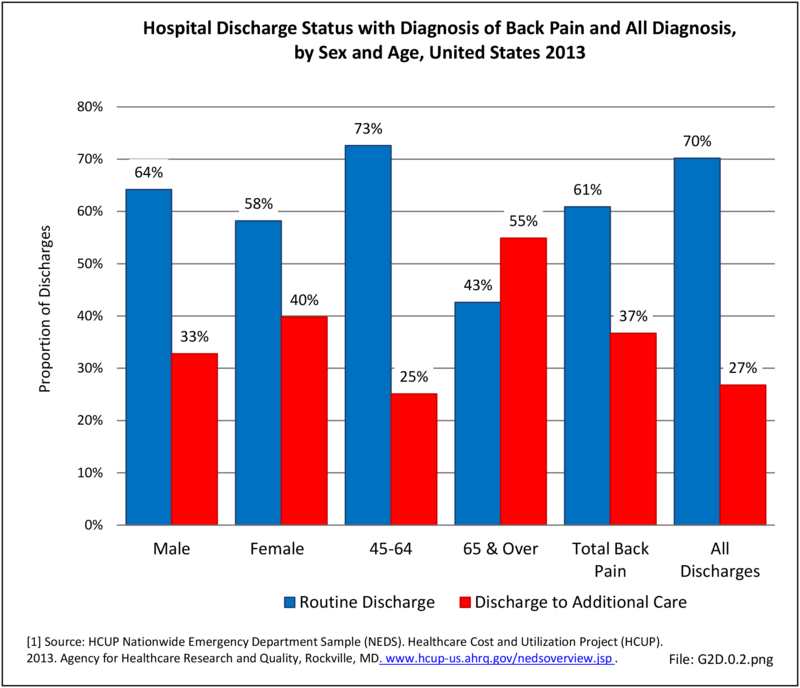 The MEPS, which began in 1996, is a set of large-scale surveys of families and individuals, their medical providers (doctors, hospitals, pharmacies, etc. 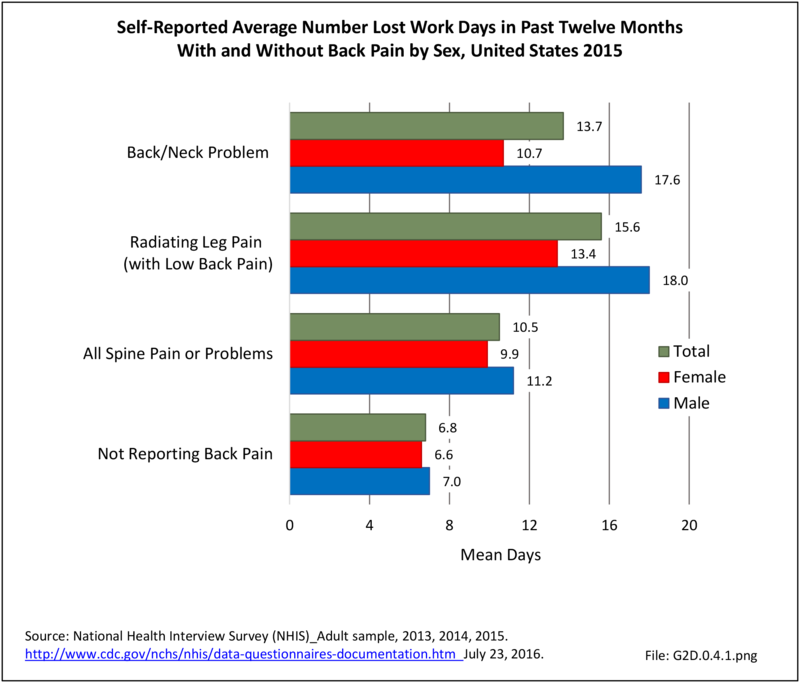 ), and employers across the United States. 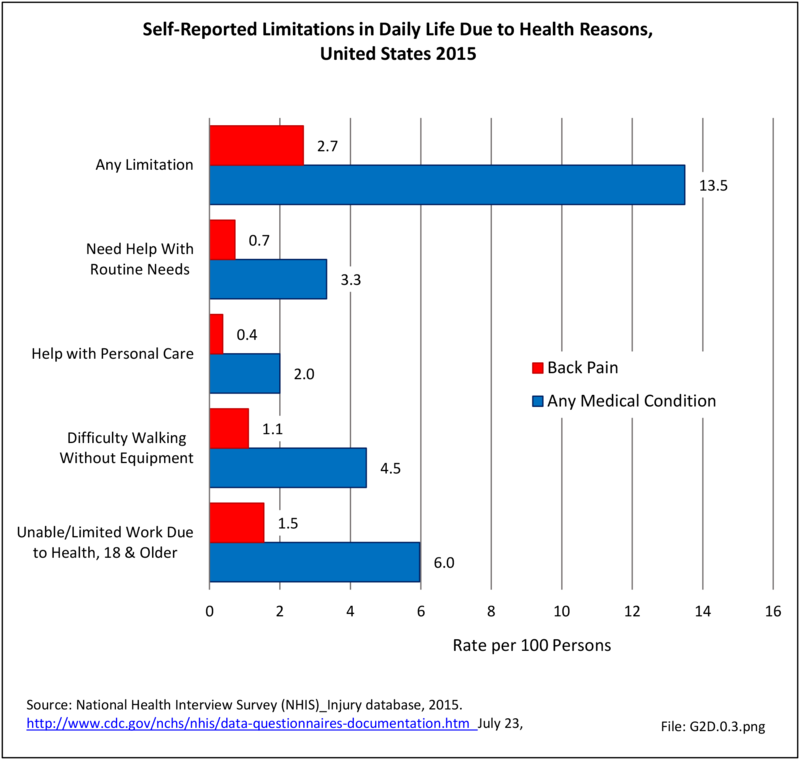 MEPS collects data on the specific health services that Americans use, how frequently they use them, the cost of these services, and how they are paid for, as well as data on the cost, scope, and breadth of health insurance held by and available to US workers. 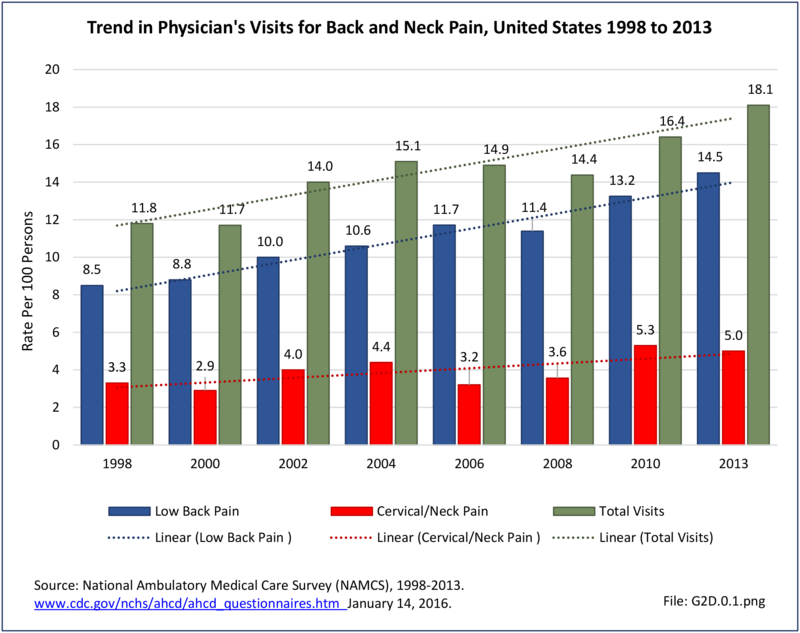 Data reported in BMUS is based on three-year averages for each sequence of years. 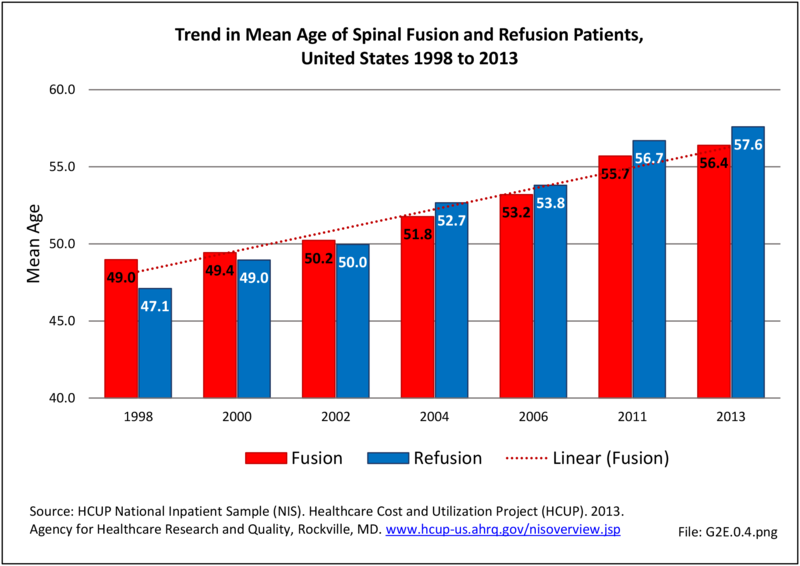 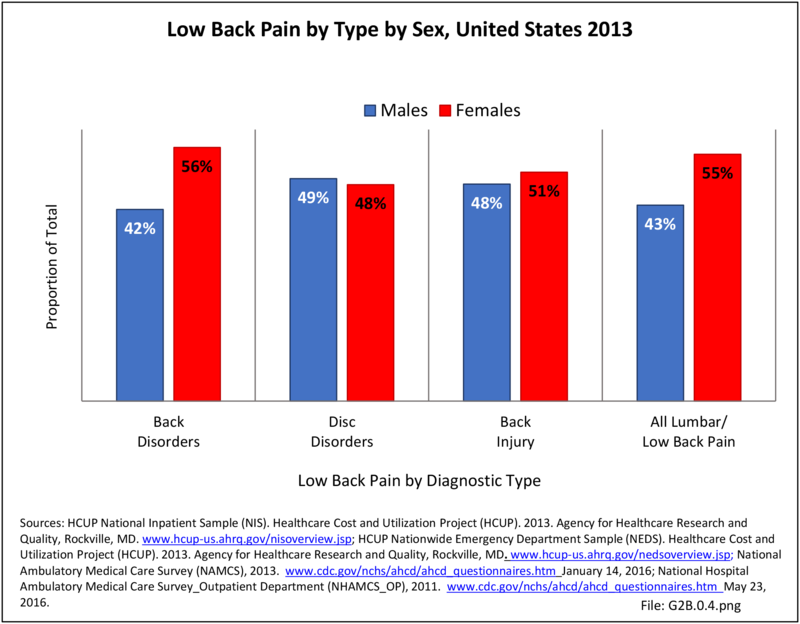 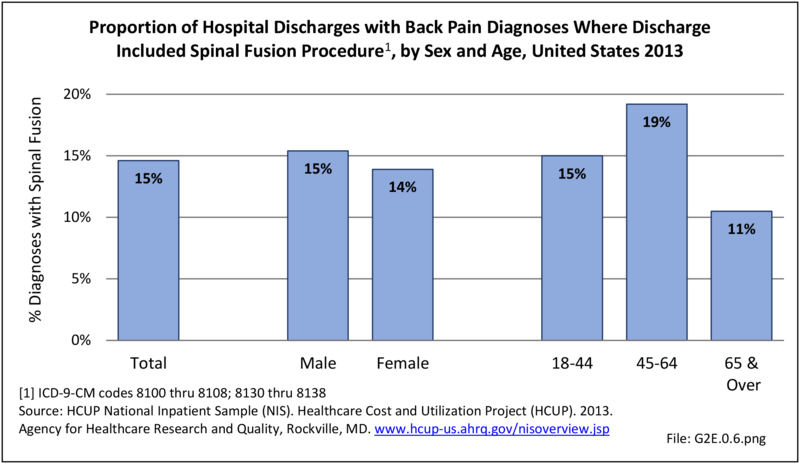 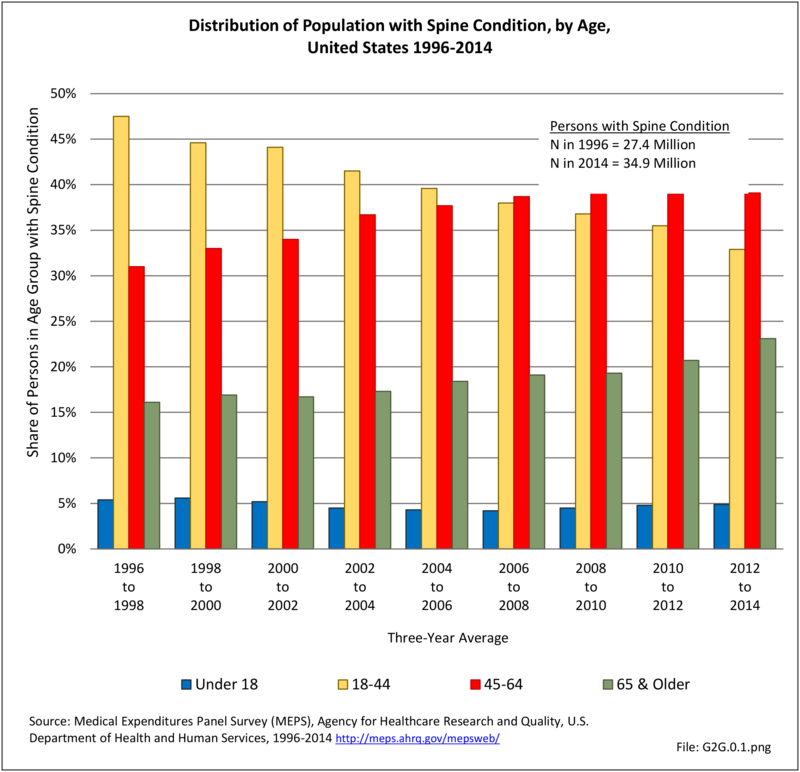 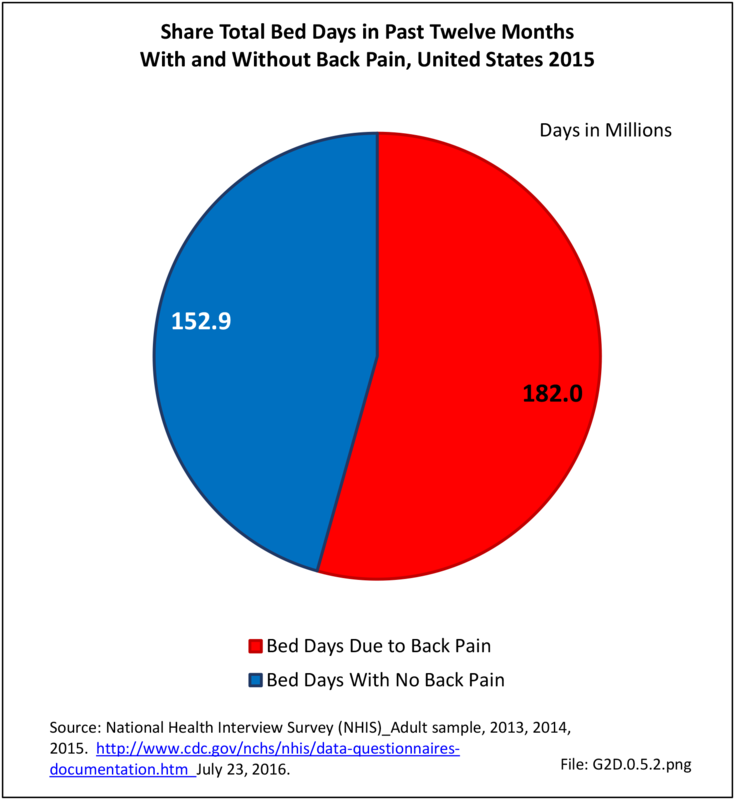 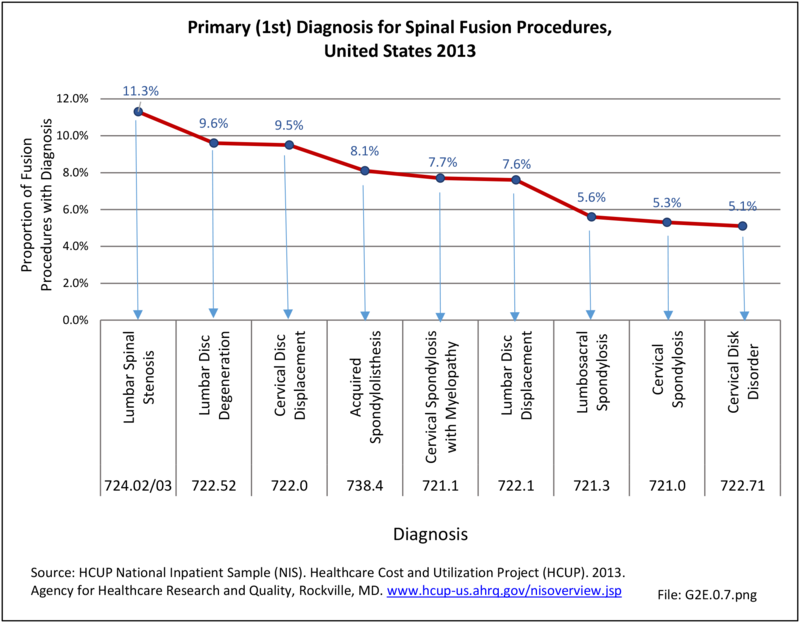 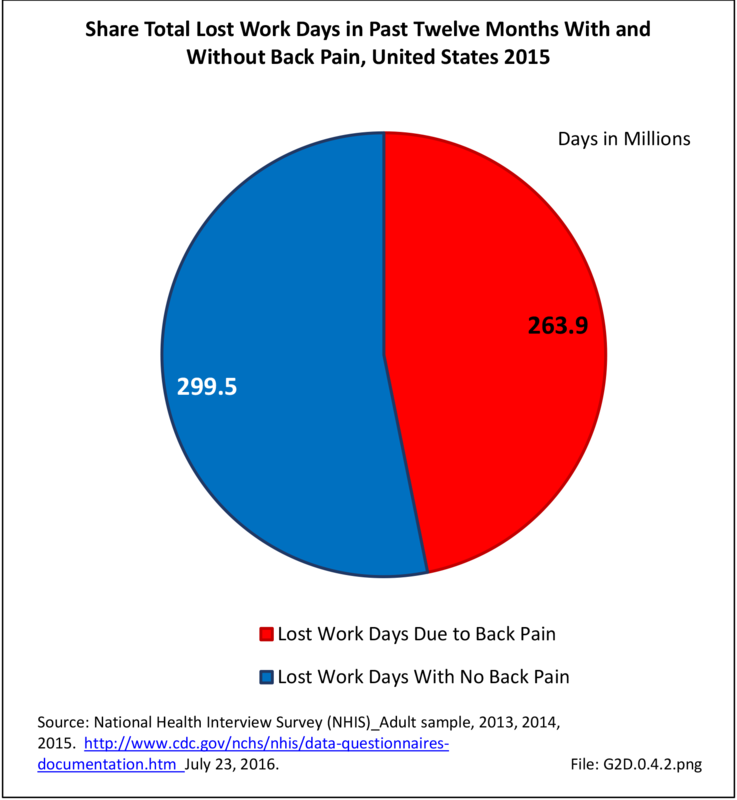 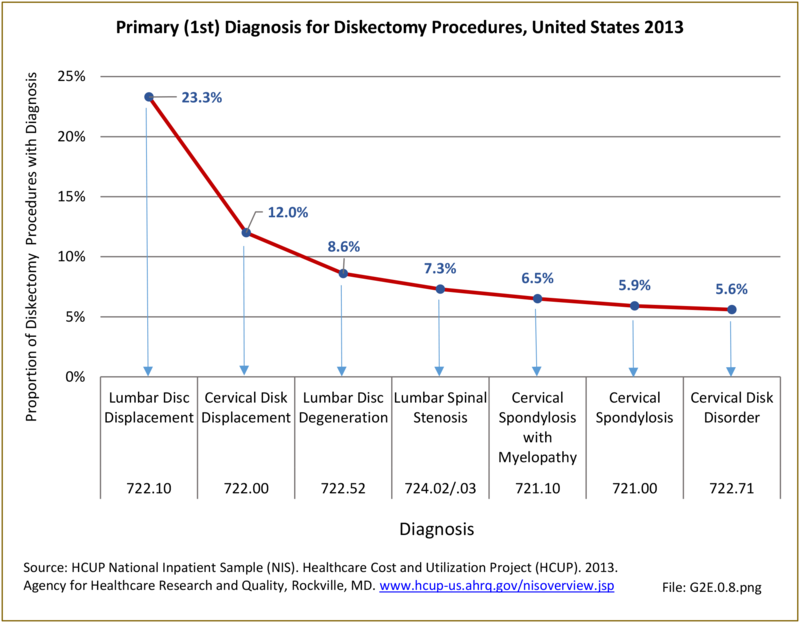 Healthcare treatments and visits contribute to the burden of spine conditions. 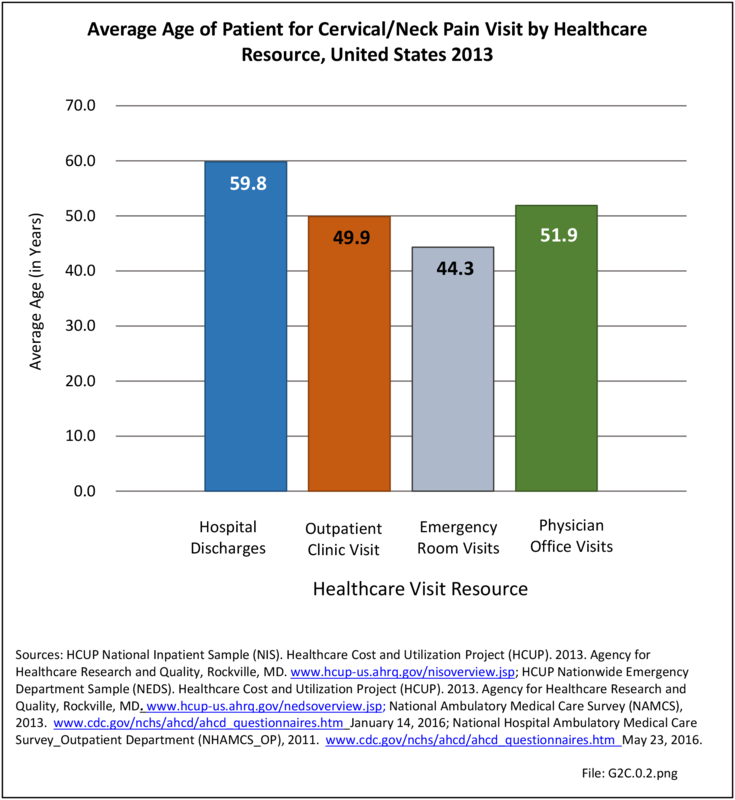 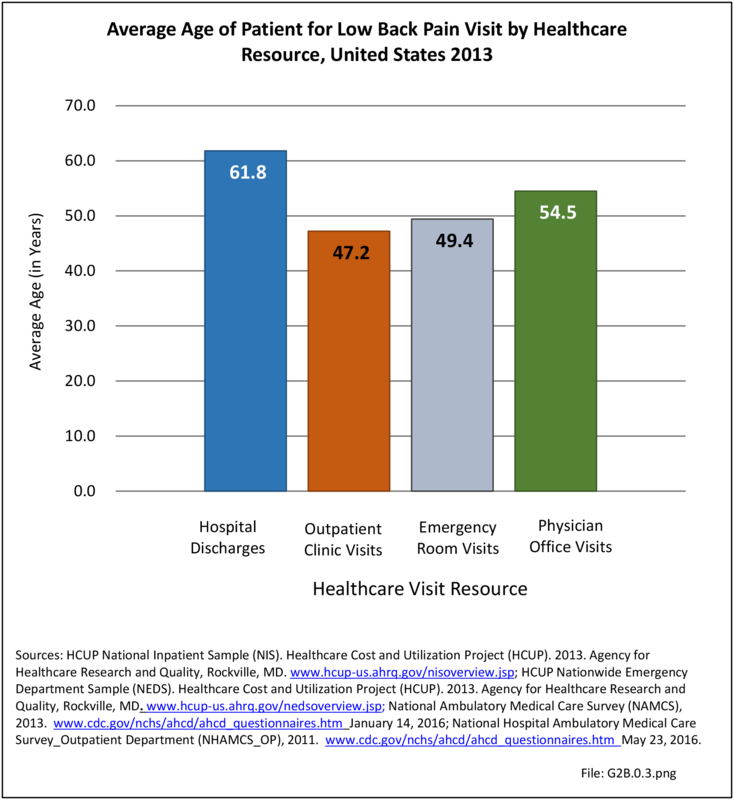 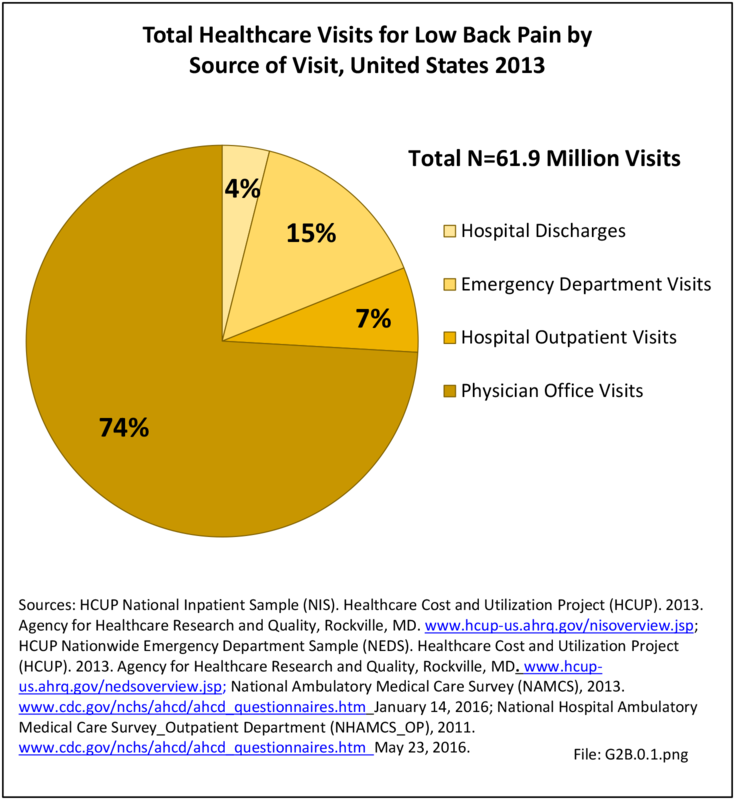 Ambulatory physician visits, home health care visits, and hospital discharges all rose by 34%, 46%, and 28%, respectively, between the years 1996 to 1998 and 2012 to 2014. 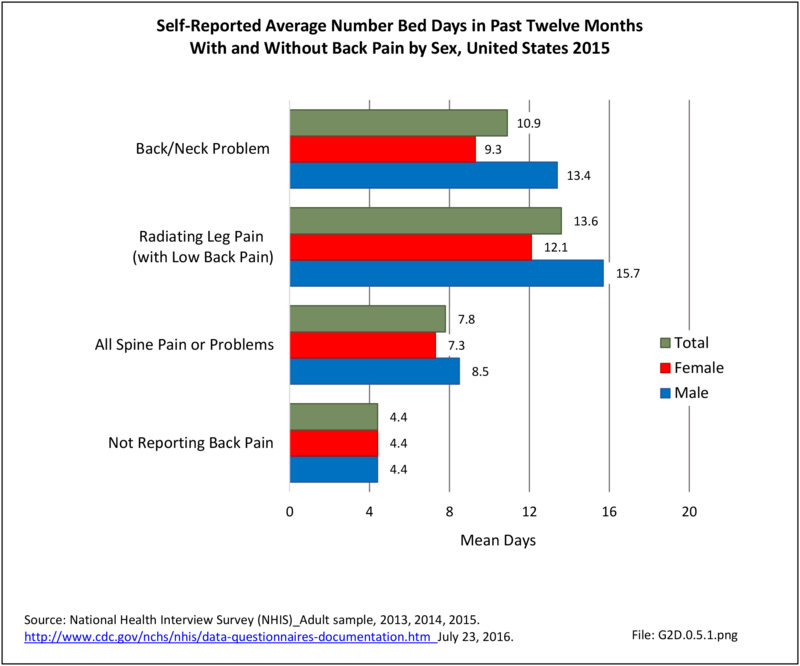 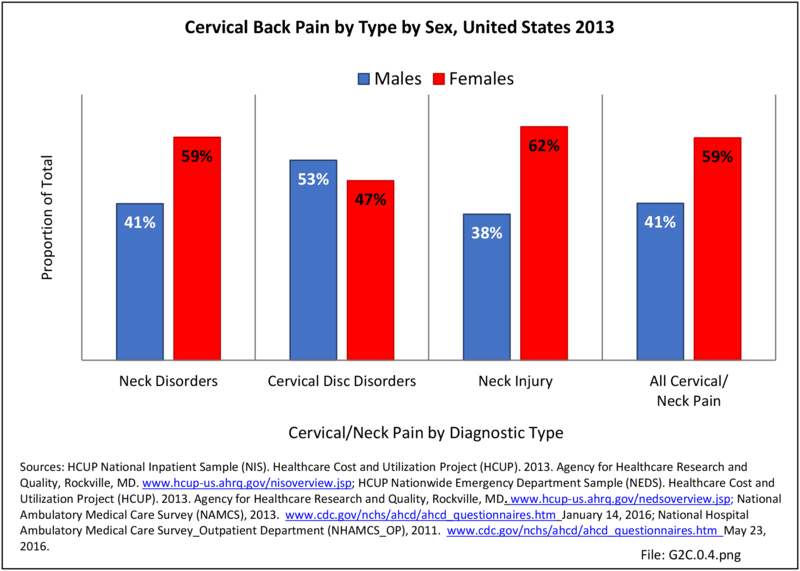 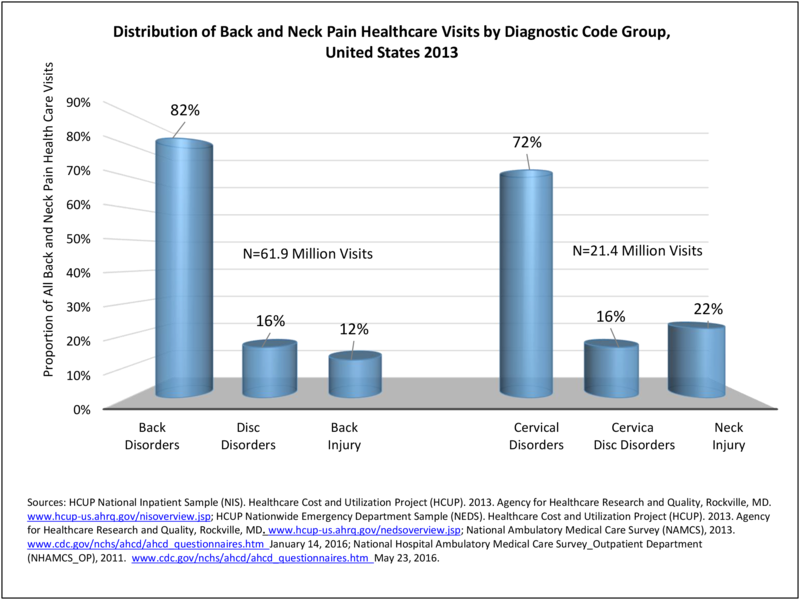 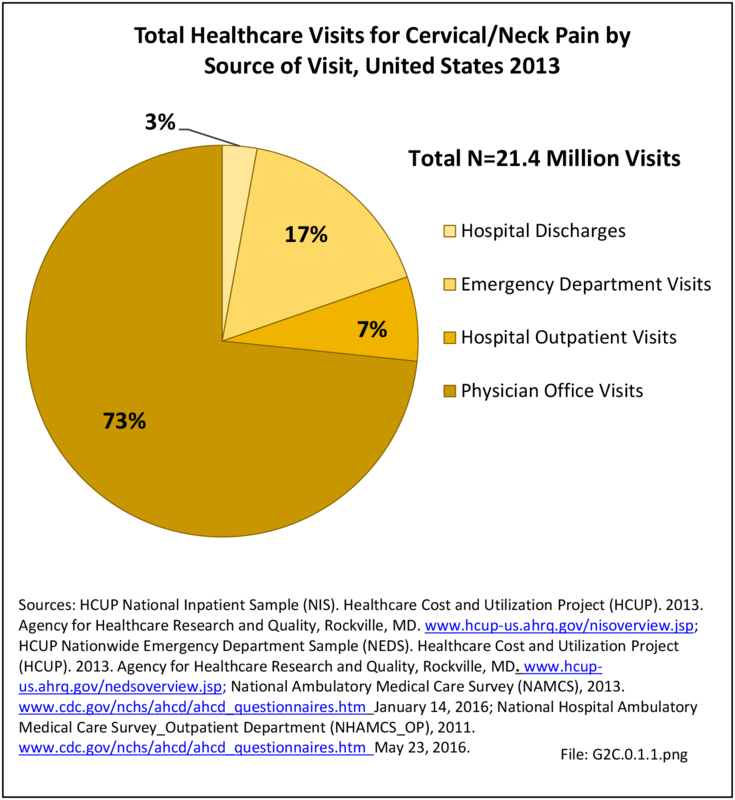 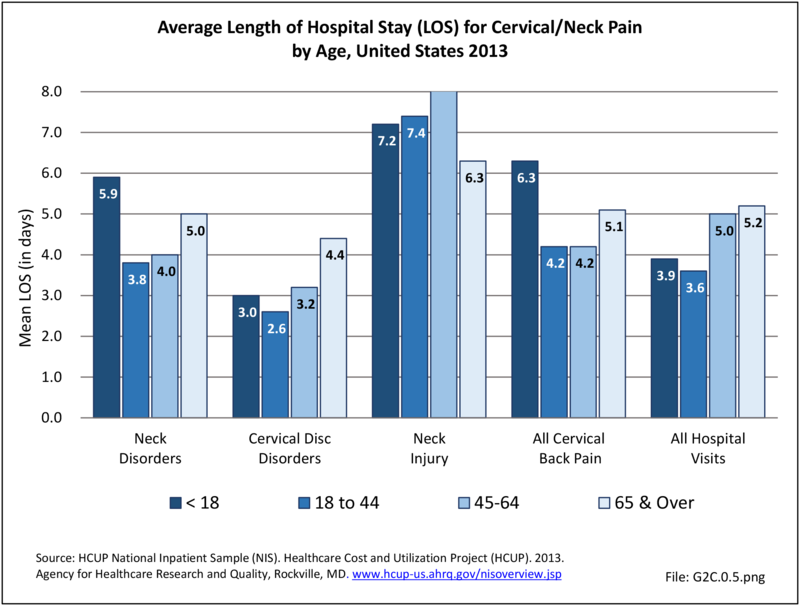 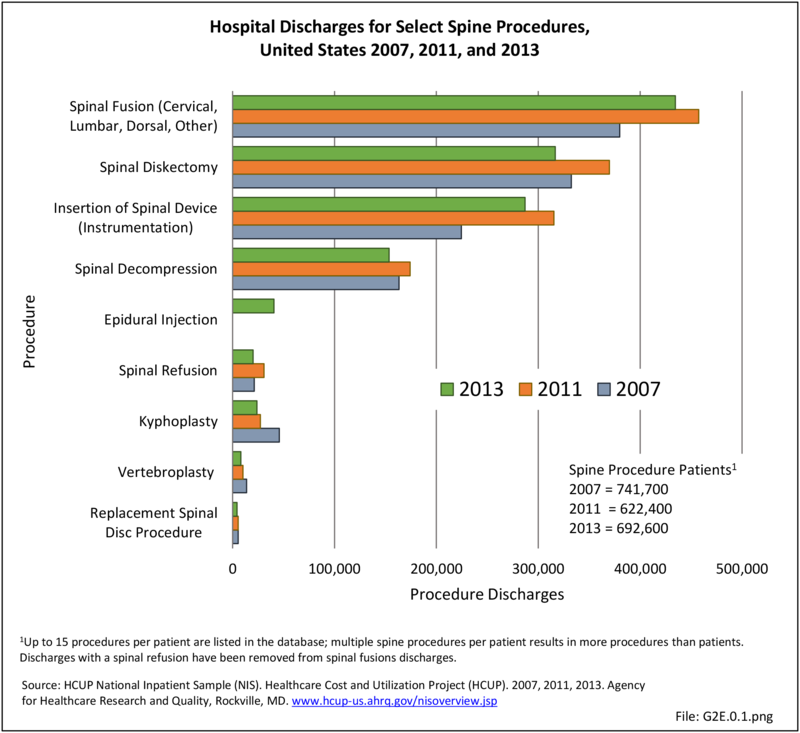 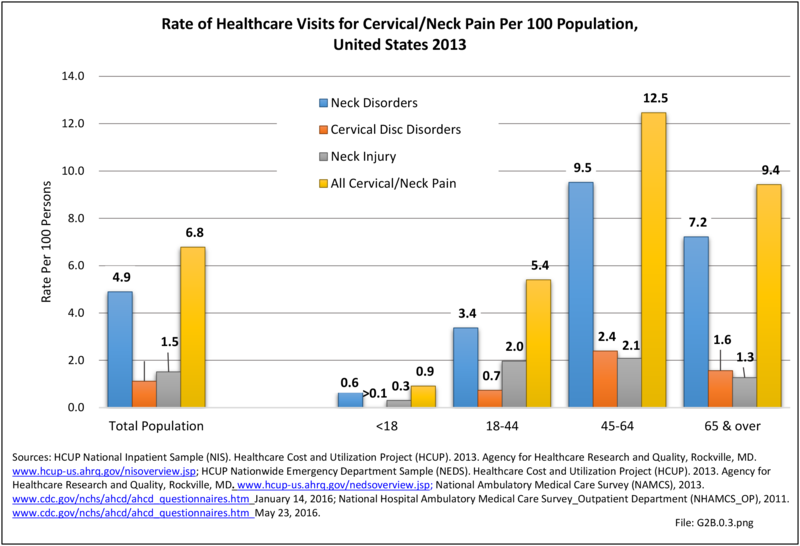 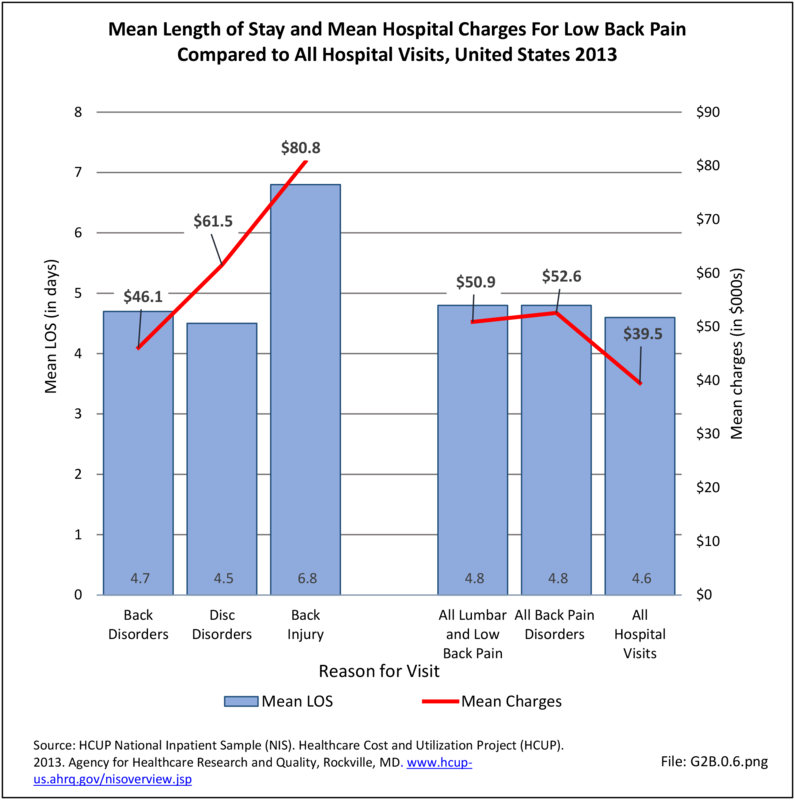 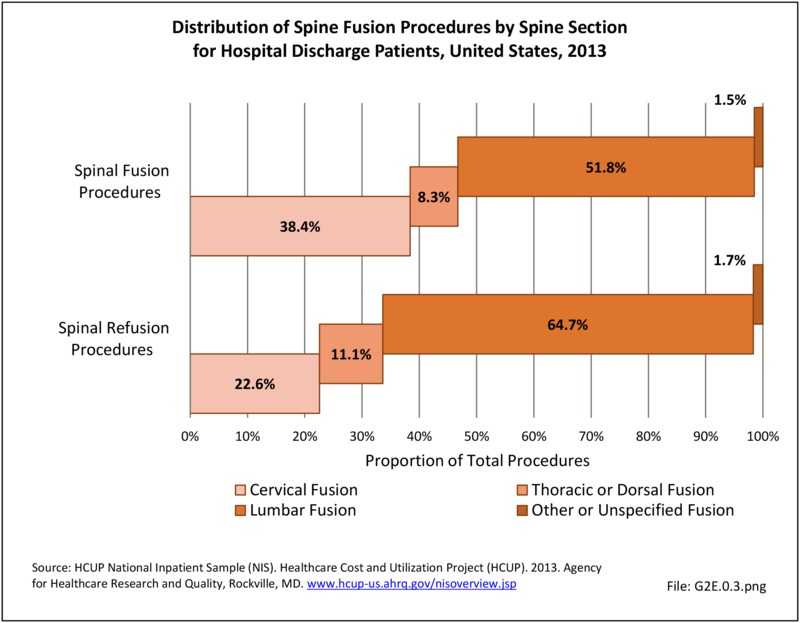 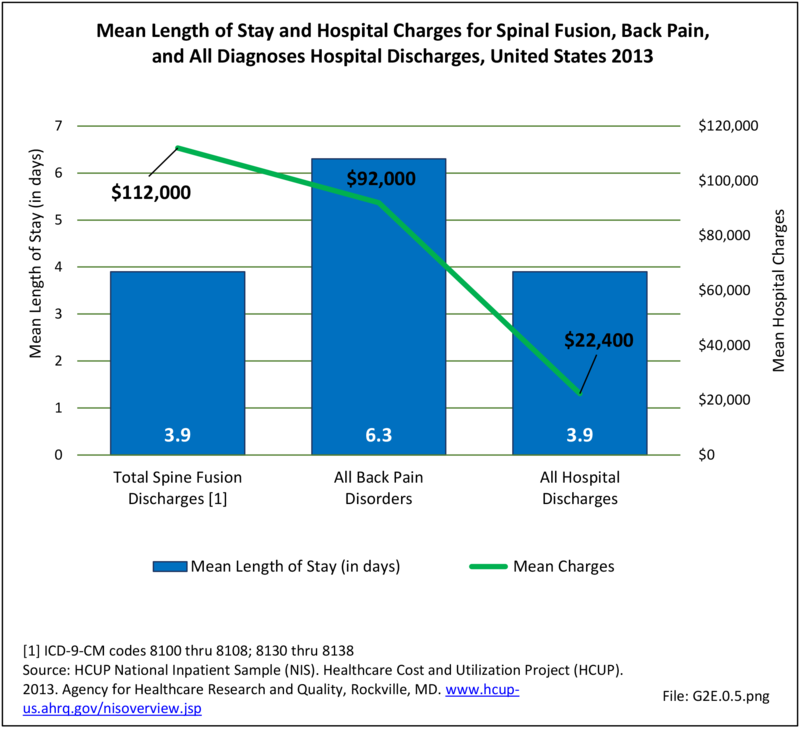 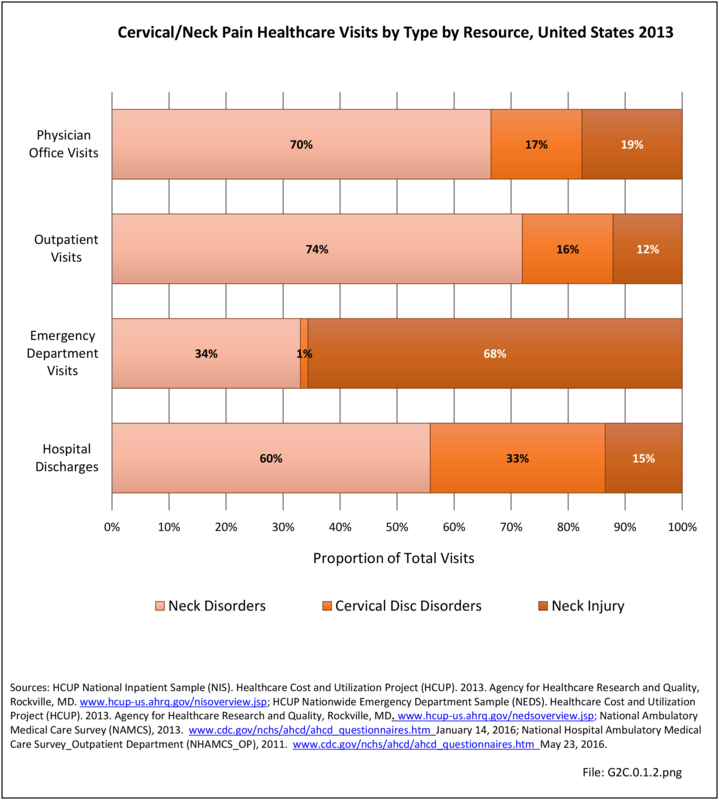 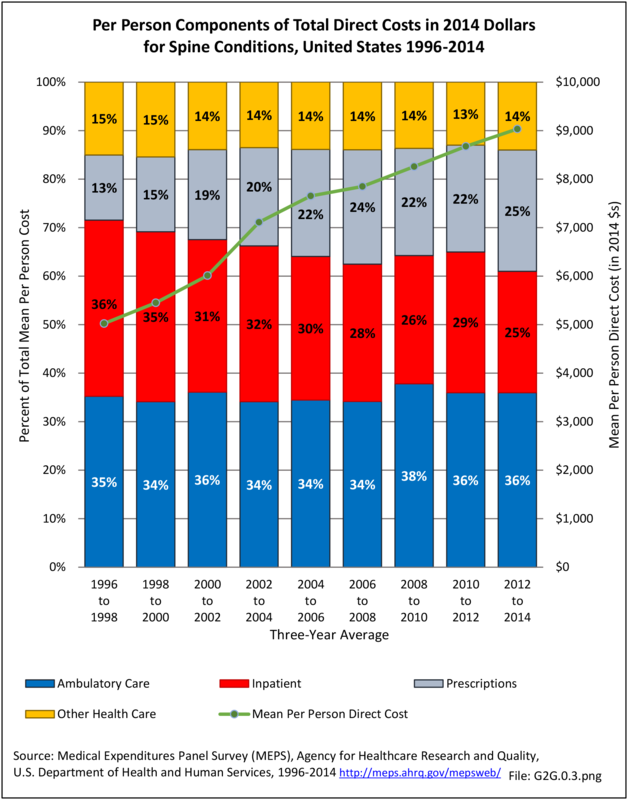 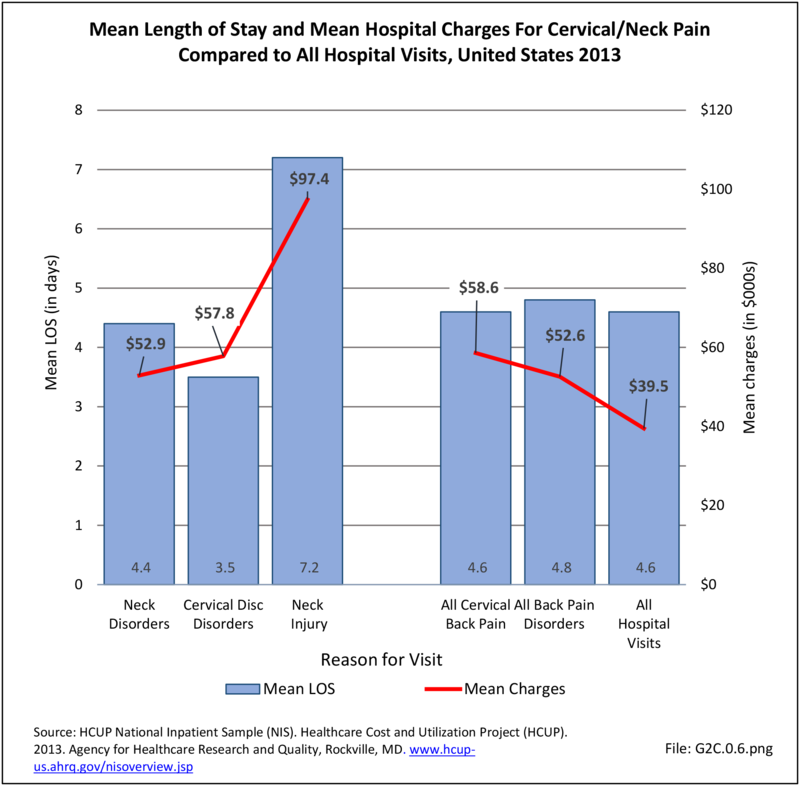 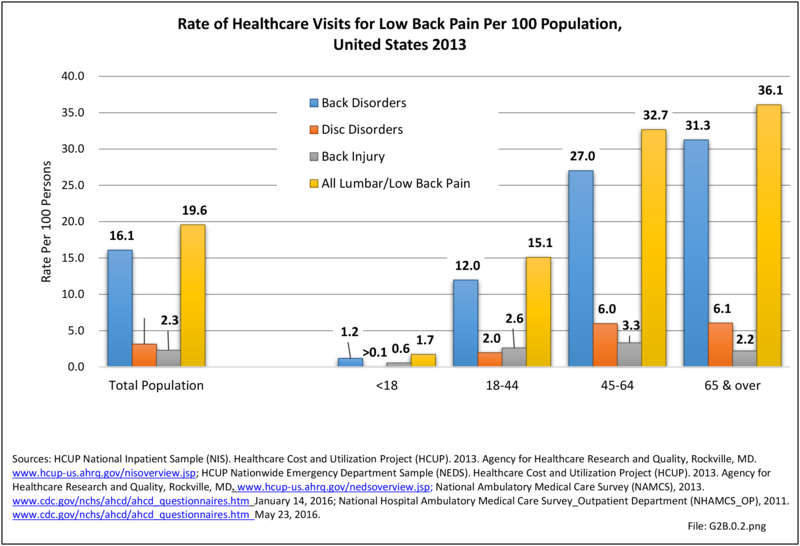 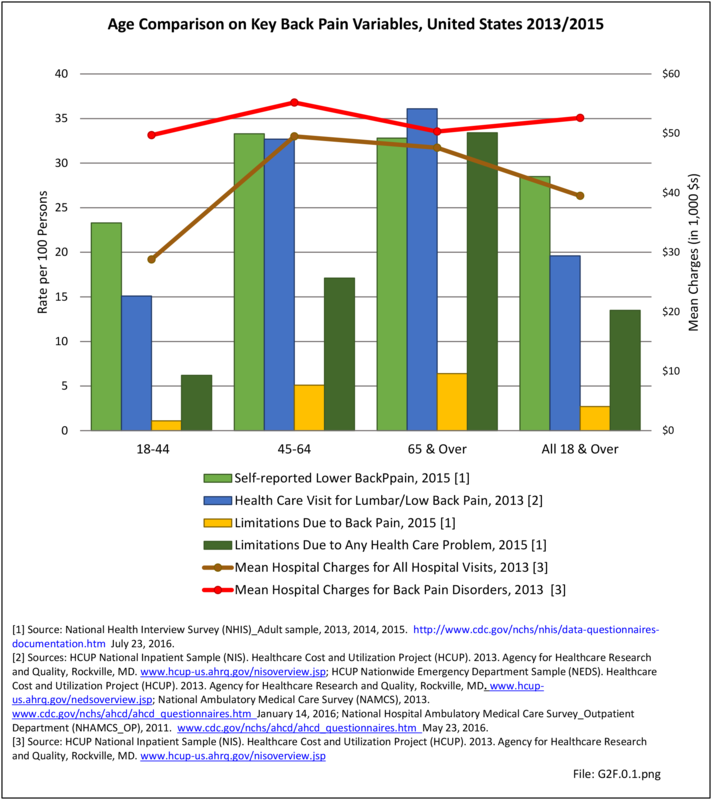 Mean visits for these three healthcare providers and share of spine patients using them remained relatively steady, indicating the primary reason for the increase is population growth. 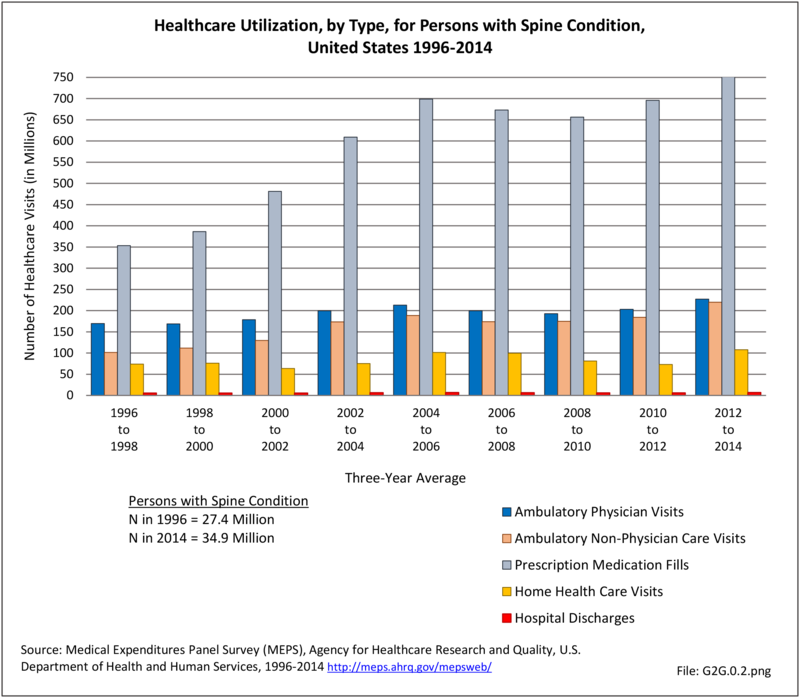 While still accounting for a relatively small number of visits, ambulatory non-physician care visits rose from 101 million in the earlier time frame to 220 million in the most recent years, an increase of 117%, due to both an increase of spine patients using this resource and a jump in mean visits.